Copyright. 1897. by Wm. E Knodt. 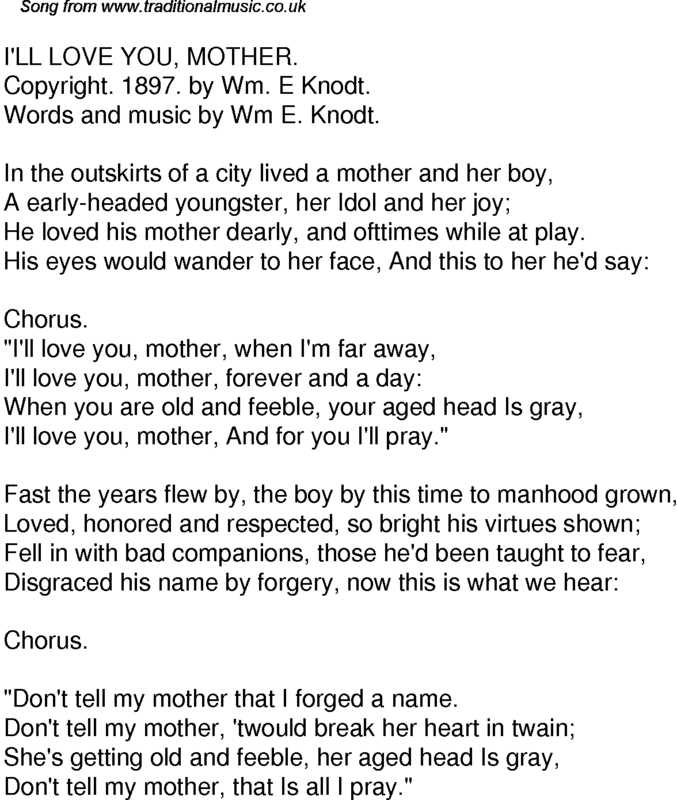 Words and music by Wm E. Knodt. He loved his mother dearly, and ofttimes while at play. I'll love you, mother, And for you I'll pray." "Don't tell my mother that I forged a name. Don't tell my mother, that Is all I pray."